It appears to look heavenwards as it stands grand and tall in the midst of a bustling junction. Set in the midst of well-maintained verdure, Prayagraj’s All Saints Cathedral is a compelling example of the 13th century Gothic-style architecture. The stunning stone structure displays an aesthetic mix of sharply pointed spires and arches, ribbed vaults, flying buttresses, intricate tracery, clustered columns and large expanses of glass which include stained windows. A complete visual treat, the place of worship, locally called Patthar Girja or the Stone Church, is one of Asia’s finest Anglican churches. 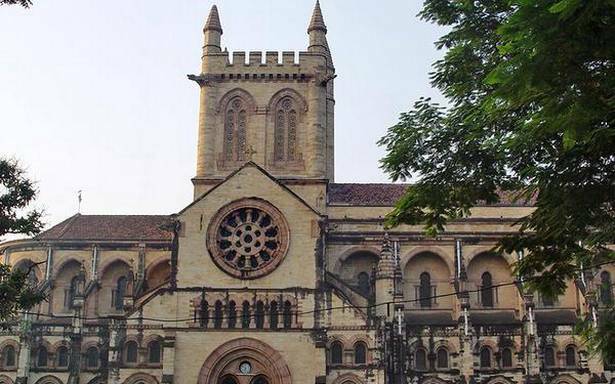 The foundation stone for the church which was designed by Sir William Emerson, the famed architect who created Kolkata’s Victoria Memorial and Mumbai’s Crawford Market, was laid by Lady Muir Elizabeth Huntly Wemyss in 1871. The construction of the church was completed in 1891. An interesting blend of the practical and the artistic have gone into the architecture of the cathedral, keeping in mind the climatic conditions of the city. The vaulted hallways and high ceiling of its interior which is supported by huge arches and porches, have been so designed to keep it cool and congenial during the torrid summer that prevails for a significant duration of the year. The low windows amenable to be covered with mats, protect the indoors from gusty summer winds. While the church itself is 240 feet long and 56 feet wide, its nave covers a dimension of 130 feet by 40 feet and has the capacity to accommodate about 400 worshippers at a time. Wide stairways, Gothic-style Victorian carvings, two transepts, respectively on the north and south, a chancel with an ambulatory, a central tower at the intersection of the nave and transepts, are other features of the church. A lantern tower honouring Queen Victoria is an additional feature that enhances the beauty of the structure. Its interior is further bedecked with elegant stained glass windows, pulpit that displays fine and intricate artistry in alabaster with a trio of panels, and an impressive mosaic altar with marble inlay. Its exterior boasts red-tiled roof built of cream and red coloured sandstone with a line of palms around it. The facade of the cathedral exhibits fine stucco work, arches and towers that are typically Gothic, snarling gargoyles and flying buttresses. It also boasts some fine marble Mughal-style lattice or jaali work. Plaques in the church carry names of several British officers, as a mark of honour to these colonialists who died during the imperial rule in India.